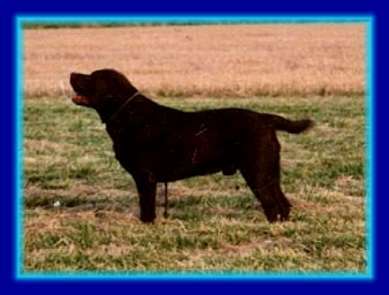 Humphrey aus Luehlsbusch was our first labrador retriever. When seeing him we did not only fall in love with him but also with the whole breed. He was an outstanding character, a faithful companion and he reared all our puppies. He had been the leader of the pack all his life.